The horror has been unleashed in a small town of the Midwest. Mysteries, adventures, sci-fi and romance enveloped by an outstanding soundtrack with a retro sound of classic synths. However, the key feature of the show is the fact that it's wonderfully set in the 80's. The story is a delicious cocktail that mixes references from The Goonies to E.T. the Extra-Terrestrial, Alien or Twin Peaks. 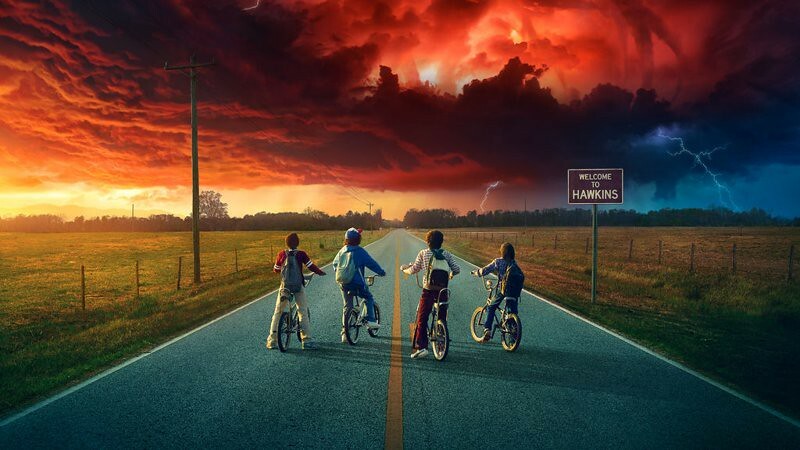 The second season of Stranger Things is picking up a year after the fist season left off. 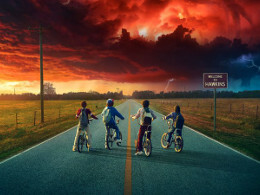 The adventurous gang of kids will continue exploring the dangers of the Upside Down dimension, and we hope to learn more about the slimy Demogorgon. 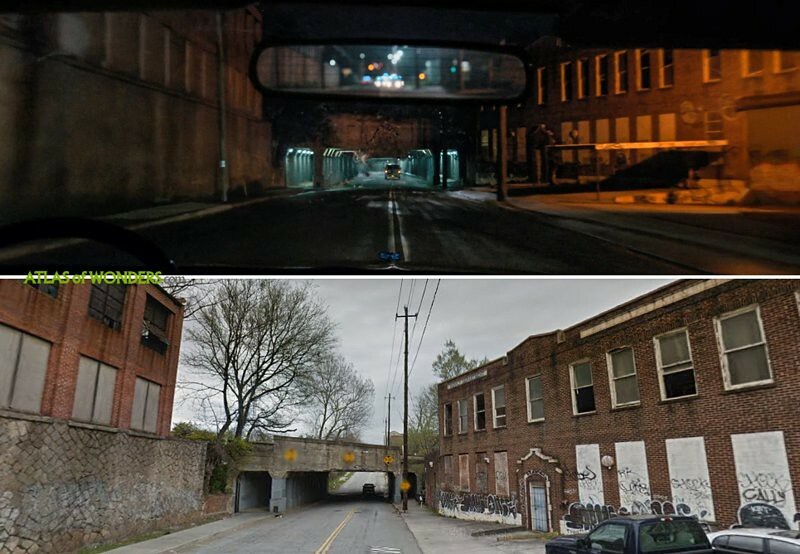 Stranger Things was filmed in and around Atlanta, Georgia. 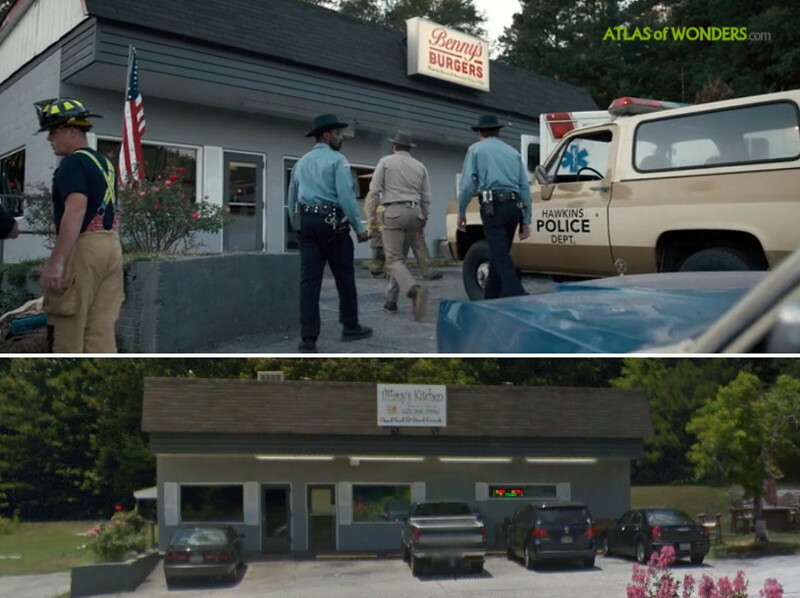 The action takes place in a small fictional town in the American Midwest: Welcome to Hawkins, Indiana. 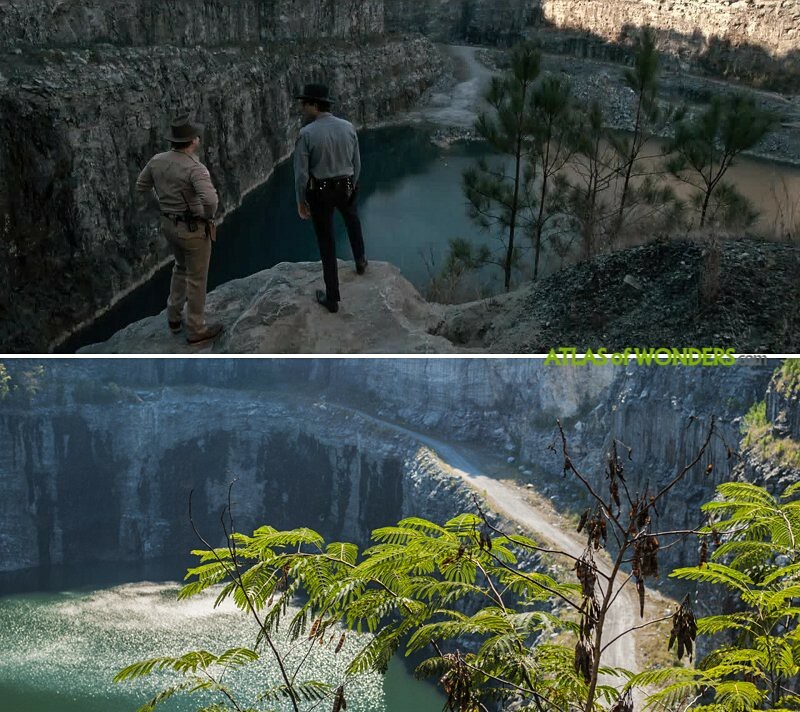 As usual, we'll be updating and expanding this report about the filming locations of the series, as more information is revealed. Also we try to keep spoilers at bay, so we don't give many details about what's going on at the locations. 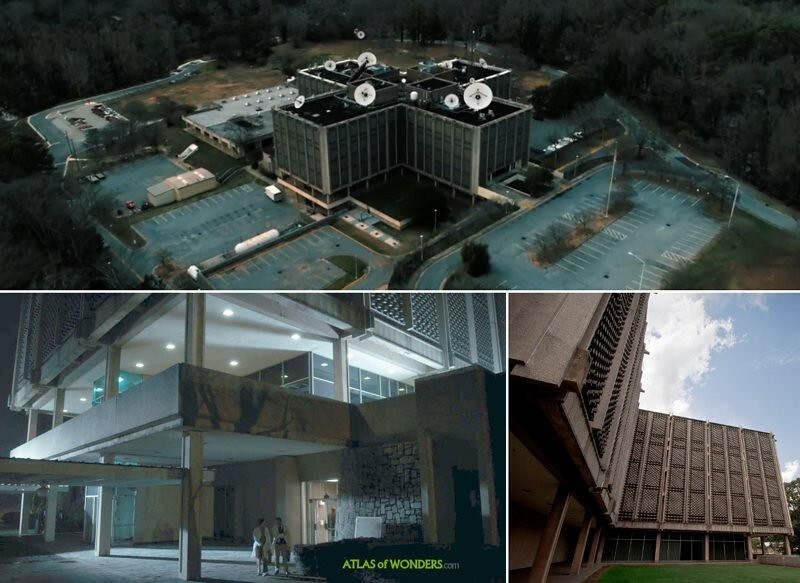 The exterior of the lab was shot in a building on Emory University's Briarcliff campus in Atlanta. This evil structure gets extra gloomy points when you get to know that it's a former psychiatric hospital. 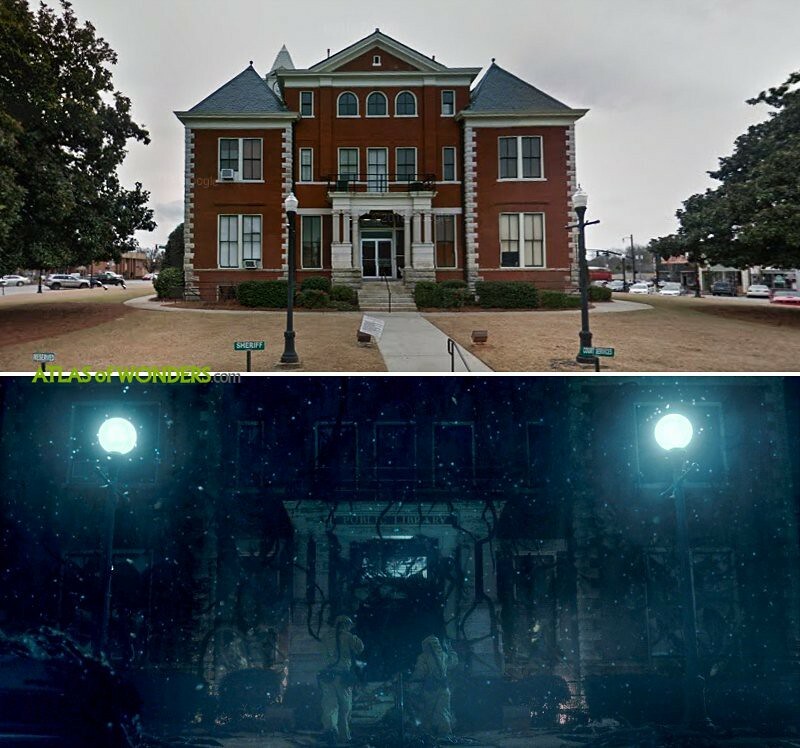 The interiors of the lab, and also Wheelers and Byers family homes interiors were created on set at Screen Gem Studios in Atlanta. Hawk movie theater was also one of the buildings here in Jackson, at 2 Oak St. 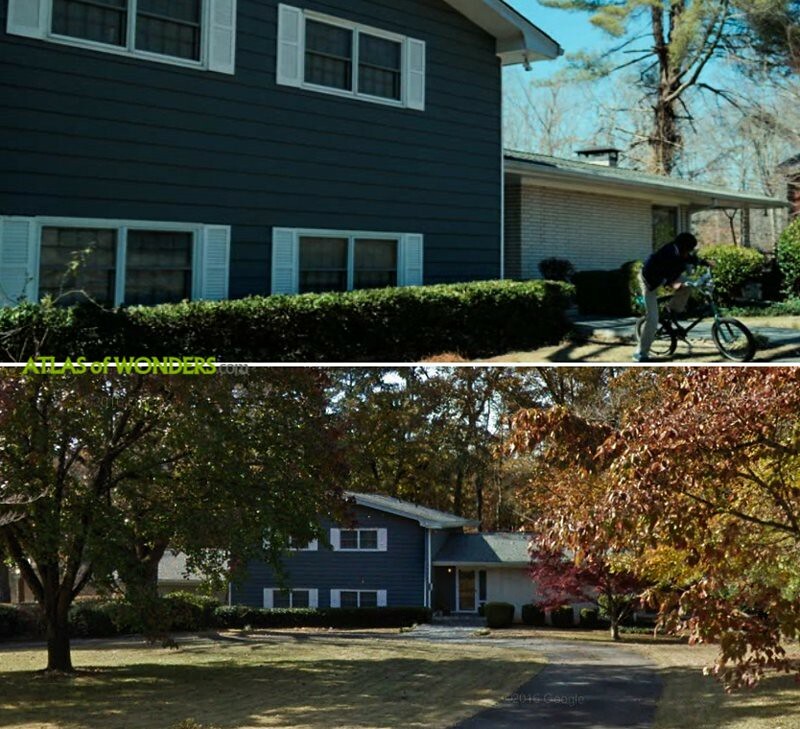 The exterior of the house of Mike and Nancy Wheeler is located at 2530 Piney Wood Lane in East Point. 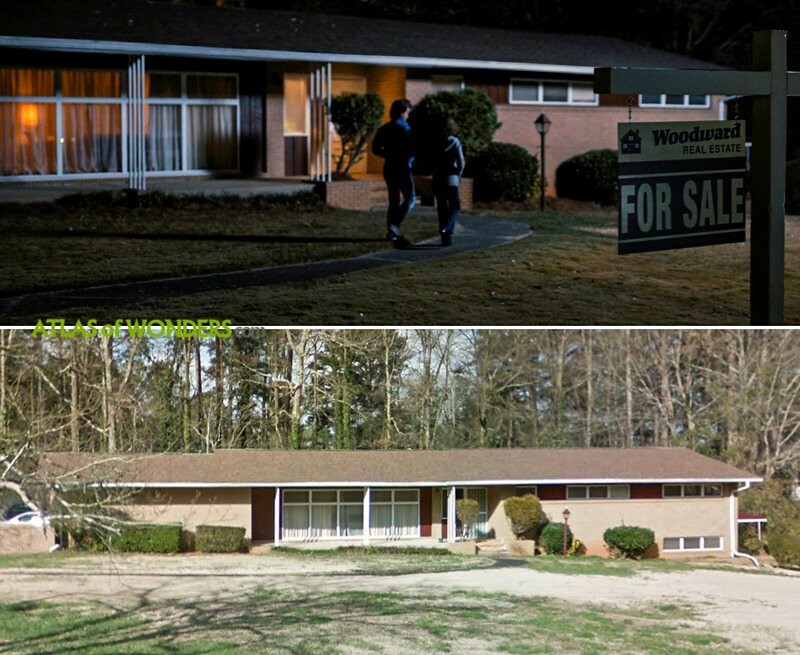 Lucas Sinclair's house can be found at 2550 Piney Wood Lane, also in East Point. 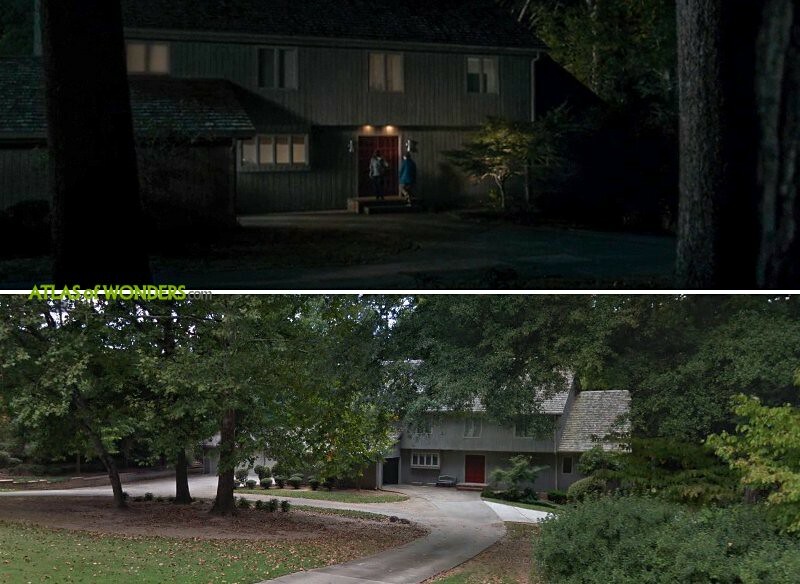 Barb's parents house is in the same neighborhood, at 2980 Piney Wood Drive. 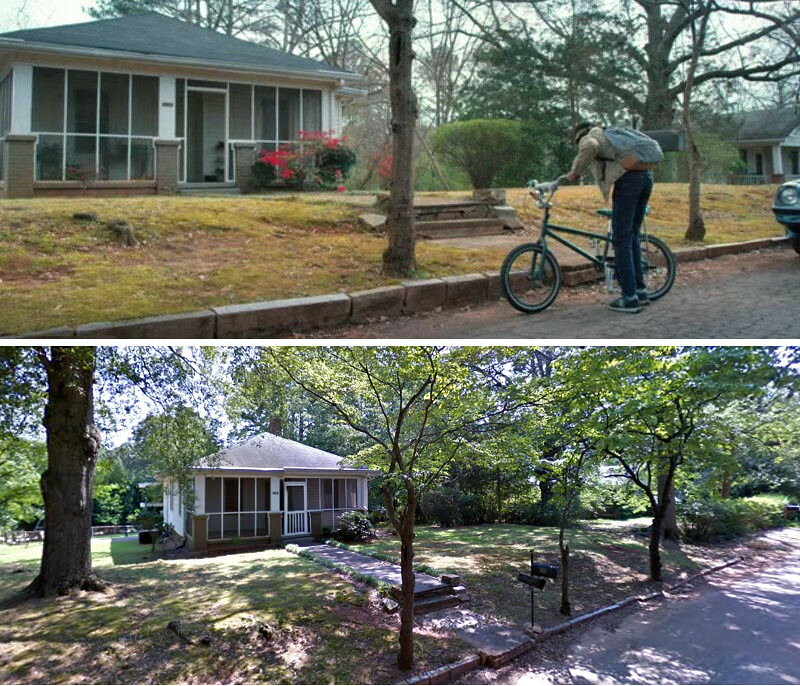 Max and Billy's house is located at 5280 Moore St in Stone Mountain. 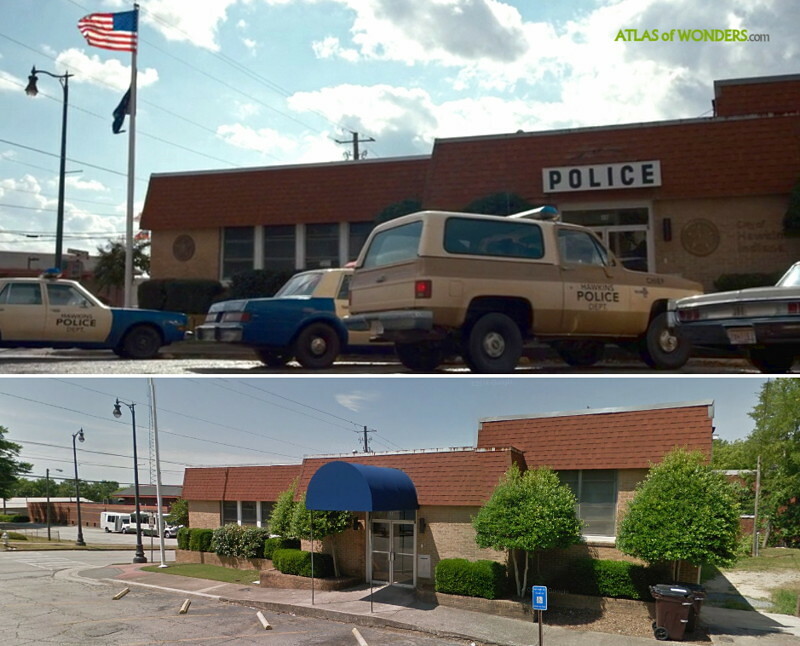 The Police's Department was located at Courthouse Square West in Douglasville. Lots of action is happening in the woods. 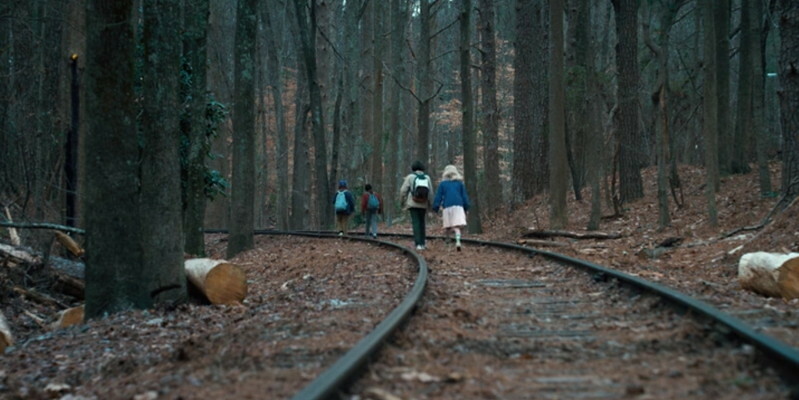 Many scenes were filmed in the scenic Stone Mountain Park in Atlanta (where the kids walk through the tracks), and at Georgia International Horse Park in Conyers. 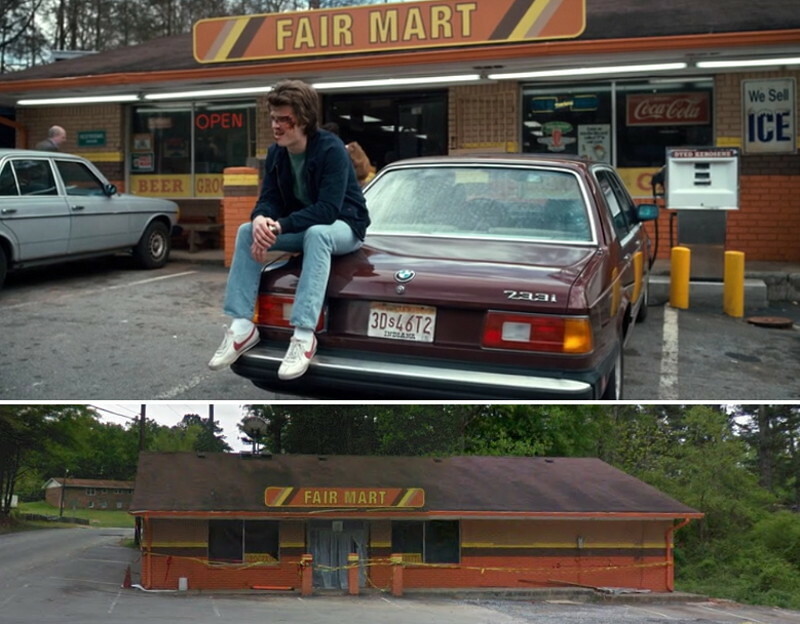 Steve seating in front of a Fair Mart located at 7703 US-78, Winston. 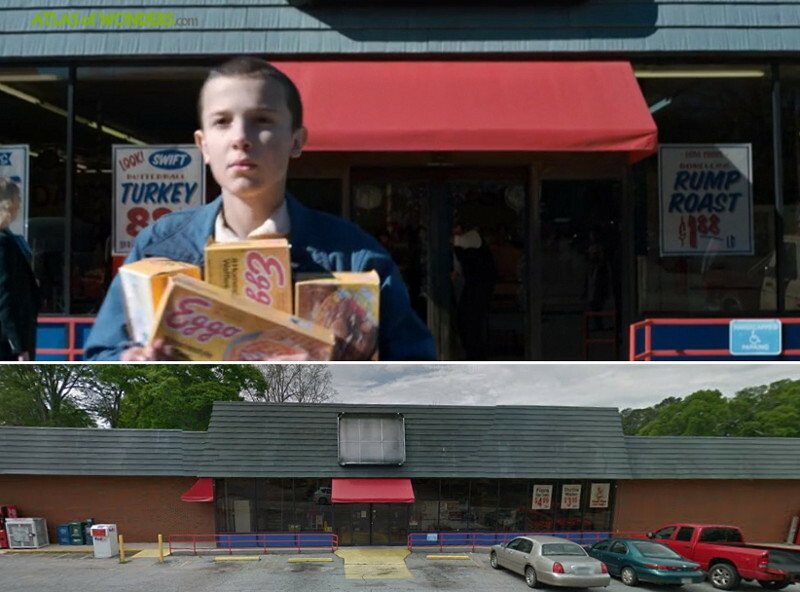 The store where El goes shopping Eggo waffles can be found at 504 Center St. in Palmetto. 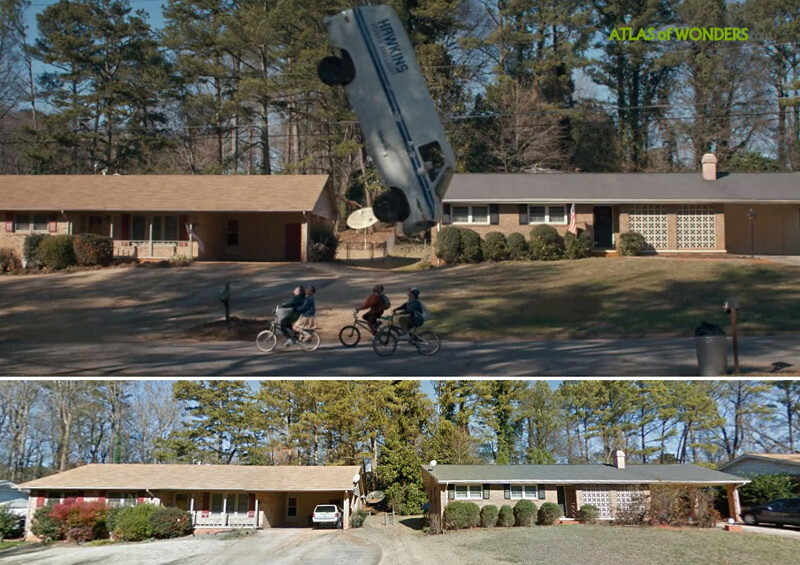 The street where takes place the scene of the flying van is Sarahs Lane in Tucker. 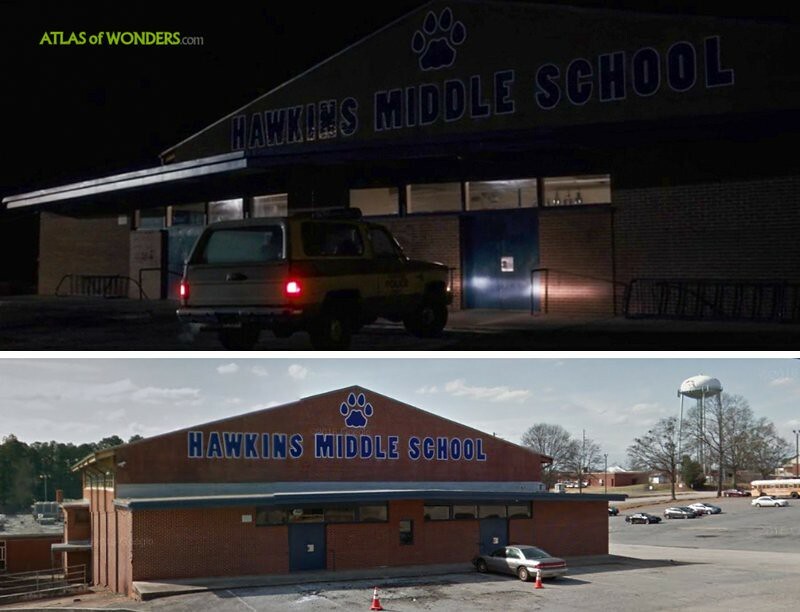 Can you help to improve this post about the filming locations of Stranger Things 2? To complete and correct this report, any feedback, info or images that you may have are more than welcome, thank you! After the first season was released, there was not much merchandising available about the show (no one expected such a success!?). But this is changing faster than Eleven swallows a waffle. The latest stuff that we discovered in Amazon are these cool Upside Down T-Shirts and this ugly Merry Christmas sweatshirt . Also we totally recommend the two volumes from the Original Series Soundtrack . The original Drew Struzan-Style poster or any of the ones below also look good on your wall. Finally, the short fan book The Companion is an interesting read about where the inspiration comes from, like this video comparing scenes from Stranger Things with references from 70-80’s movies. 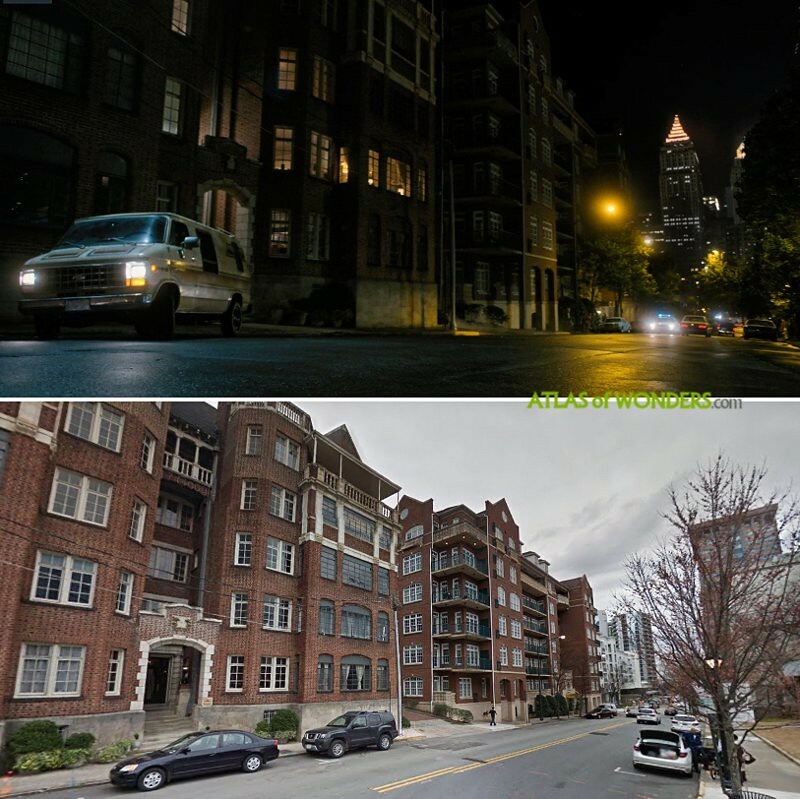 Anyone know the dimensions of the Emory University Building A (Hawkins lab)? I want to make it in sketch up. 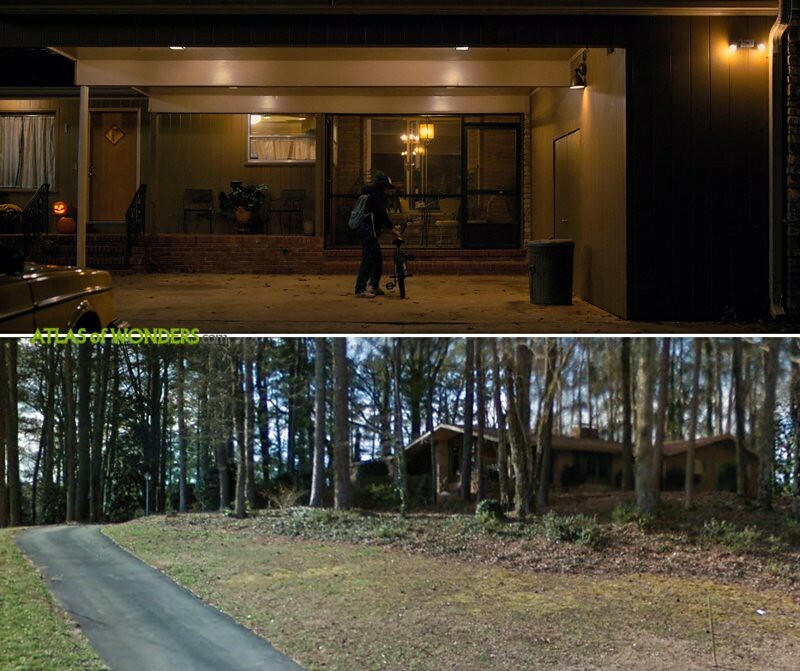 Anyone know where Hopper's cabin is? 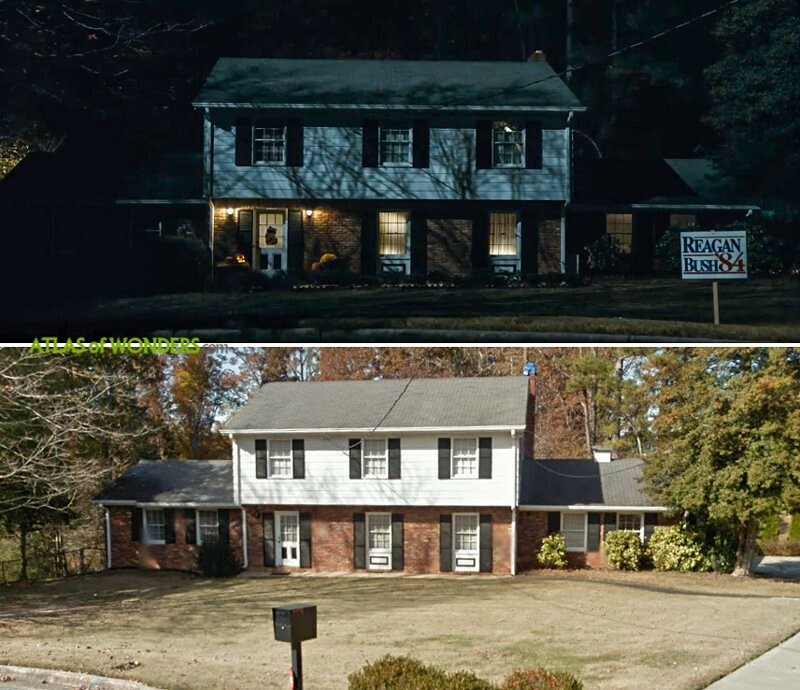 can you share the link of the website publishing the Byers House location? Sorry, they also deleted the address. Where was the Chicago scenes filmed ? 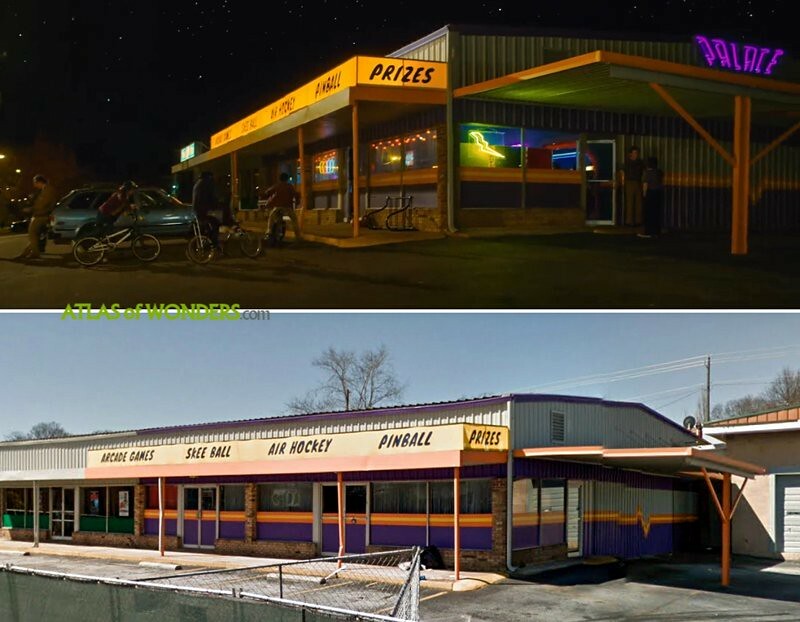 anyone know where the junkyard location was filmed at?